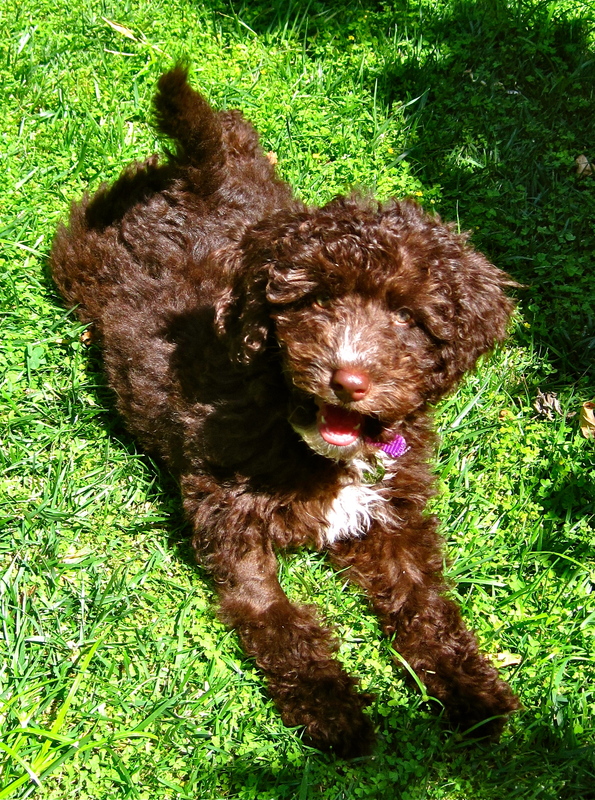 I’d like to introduce Indie to you – she’s our new spoodle pup – just 11 weeks old and has already stolen our hearts (though our cats are not so impressed!). As well as keeping me company for the walks guidebooks I am currently writing, she is going to be helping me research a new book I am working on over the next 6 months: Melbourne for Dogs. I know a lot of walkers in Melbourne like to take their canine friends when they go out for a walk (or perhaps it’s the other way around! ), but it’s not always easy to find out where and when you can responsibly take your dog off leash. In the Melbourne’s Best Bush, Bay and City Walks book, as well as the others I am working (Geelong and the Great Ocean Road, I have listed which walks are suitable for dogs. However, this new book will be entirely dedicated to great walks, parks, beaches, cafes and events in Melbourne where your pooch is welcomed. I would love to hear from you about your favourite off-leash and dog-friendly parks and open spaces in and around Melbourne, so that Indie and I can come and check them out! I am looking forward to seeing a book like this. I would be particularly interested in seeing good off-lead walks. * The off-lead trail that follows Ruffey Lake Park north-west, following Ruffey Creek all of the way to the Yarra River. There are a couple of short sections along roads, but this is a superb linear trail. * Gardiners Creek Reserve in Box Hill South / Burwood, between Station Street and Burwood Highway, which is criss-crossed with trails and wholly off-lead. Hi Nils – thanks so much for your suggestions – I will definitely be highlighting the best off-leash parks for dogs and their owners, and Gardiners Creek Reserve has already been highly recommended. The Ruffey Lake Park is also going to feature. Any other suggestions are really welcome, as I am focussing on the Melbourne for Dogs book from June onwards. In the meantime, I have written a short piece on some of my favourite off-leash parks on Weekend Notes which you might like to have a look at for other ideas: http://www.weekendnotes.com/best-off-leash-dog-parks-in-melbourne/ Best wishes, J.